After a careful demolition process, our waterfront project site on Humboldt Island in Huntington Beach is cleared and ready for construction. 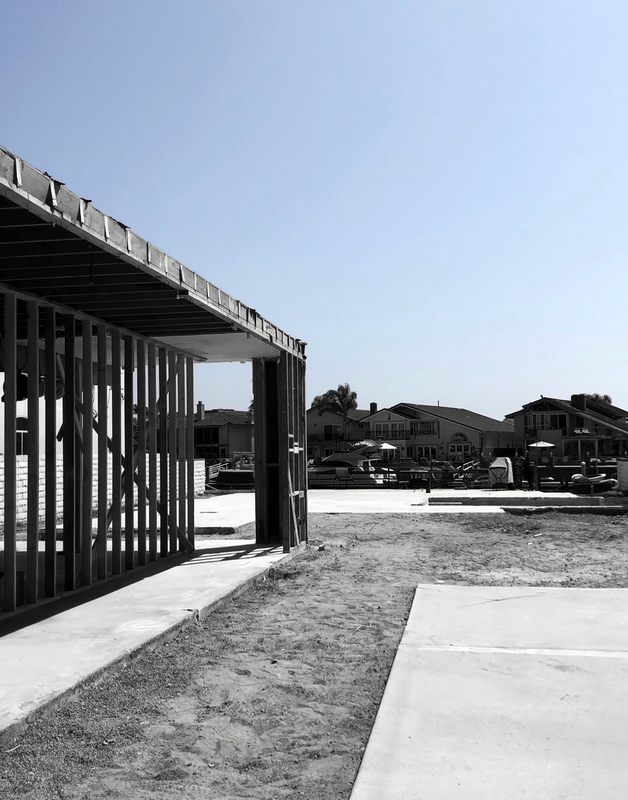 The existing garage framing will be incorporated into the new contemporary home that features open living spaces that connect to both the entry courtyard and water beyond. We look forward to seeing the new structure take shape in the coming months- see below for an updated design rendering, and revisit previous project posts for schematic design sketches and progress drawings.